It all started in South Australia, when we met a few growers in a pub. We swapped stories over a few pints, then went to walk around some vineyards. We knew we could make great wine from these vineyards, and with diligence, sell the wines at a price that would over-deliver compared to the offerings on the retail shelves, so we were off to the races. During a visit to Puglia to investigate the flavors behind Carole Meredith's recent studies showing that Primitivo is indeed identical to Zinfandel, we discovered the largest cache of old-vine Zinfandel grapes in the world. We knew Layer Cake Primitivo was meant to be. Argentina is now known as the best place on the planet to grow Malbec, hands down. We met some fantastic family growers to work with, the Layer Cake Malbec was born, and we just can't make enough to satisfy the ravenous appetite you all have for it. We came back to our homeland, Napa, next and decided it was time to seek out some special vineyards here as well. Cabernet Sauvignon, Pinot Noir and Chardonnay were naturals to make here, as we have many friends with excellent vineyards to nurture and turn into Layer Cake Wines. The bottom line is, we look not only at places where you could make wine, but places where we want to make wine: steeped in history, diverse foods, sweeping landscapes and interesting people. We seek out the best varieties a region has and then find a way to make a great wine for you at a price that makes you able to buy more. At Layer Cake, we work directly with the farmers to grow the fruit we work with. Our grapes are grown to exacting standards in some of the most diversely-layered vineyards around the world. They are handpicked, separated and fermented with care, then aged in French Oak. The character of each Layer Cake wine is influenced by the vineyard soil, which is layered like a cake...every layer tells a story. 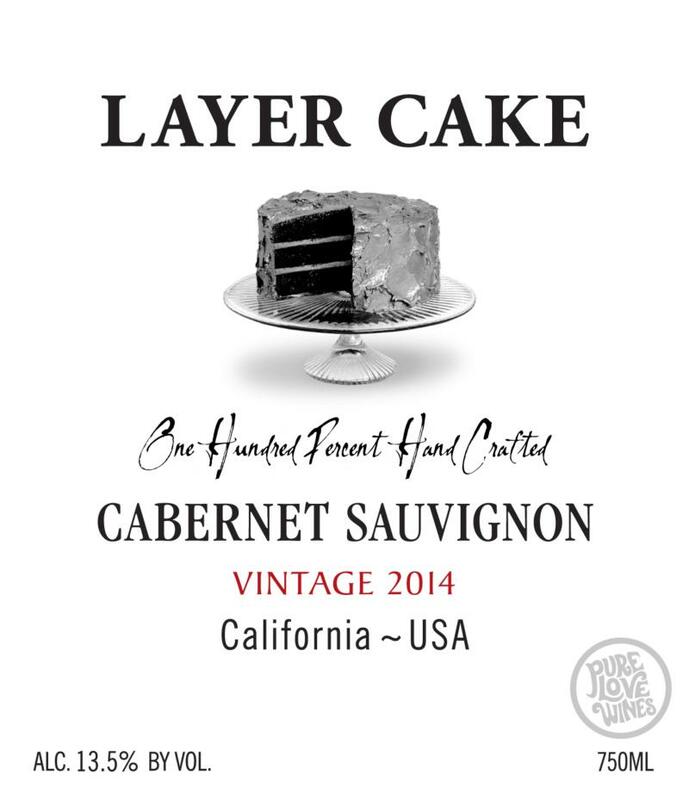 "The Layer Cake Cabernet Sauvignon jumps from the glass with aromas of ripe Bing cherries and blackberries plus cedar and dark, rich layers of Maduro tobacco. Deep flavors of spice-infused plums, toasty oak, and espresso. ln the mouth, with a rich, creamy layered texture, and powerful structure.